I live in the UK, otherwise known as the land devoid of actual Mexican food (aside from the saving grace that is Mestizo). And don’t even comment that you know an awesome burrito place or that your local sells Old El Paso taco kits. Anyway, so ending up in gorgeous Vancouver in a gorgeous flat close to gorgeous tacos basically made my entire visit to that city worthwhile. 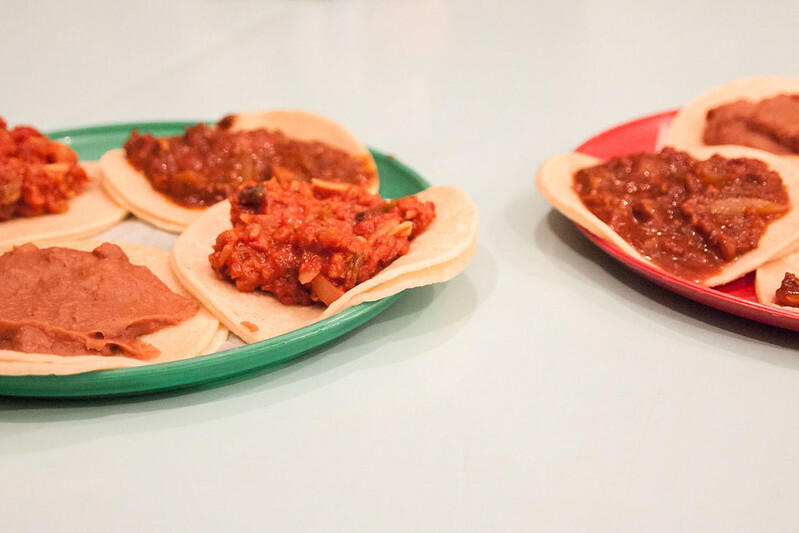 The menu has two clearly marked vegan options: tinga de hongas (sautéed fresh mushrooms in spicy chipotle sauce) and de picadillo (sautéed ground tofu in a sweet and tangy sauce), but the frijoles charros con queso (refried cowboy beans with cheese) taco can be made vegan by going sin queso. Everything about this place is ace, from the bustling atmosphere to the outgoing and chatty staff (despite a constant out the door queue and only one visit under my belt, I was remembered on my second visit). There’s another location at 2549 Cambie.